As we are getting closer to an expected announcement about a new Apple product, a kind of tablet computer, it is surprising has been no official announcements by the company on the subject. Part of Apple's reputation is that it never communicates about unreleased products, so most information that is available now is based on speculation. But it seems that behind the screen there is in fact some communication going on. In an article by a former Apple senior executive, their method was explained. 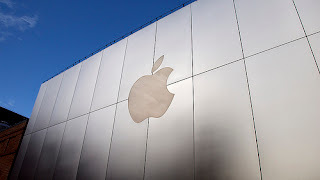 To get some information out, the network of people working at Apple is used to leak some information to a news outlet. Most of the time these are done either in person or through a phone call, making sure there are no traces. This technique was probably used for a recent article in the Wall Street Journal that talked about the new product. to use it as a consumer research tool and see the reaction of the public to a US$1,000 price point. to deliberately leak false information, to disinform competitors who are trying to prepare a fighting strategy when the device hits the market. If you see any other reasons why using this strategy would be good, or have any suggestions, please leave some in the comments!